The BB&T Atlanta Open, an ATP World Tour 250 professional men’s tennis tournament scheduled for July 21 – 29 at Atlantic Station, presents the Home Free TIMELESS WORLD TOUR 2018 concert on Saturday, July 21, from 8:30 p.m. – 10 p.m., at the BB&T Atlanta Open Stadium Court (1380 Atlantic Dr. NW, Atlanta, GA 30363) as part of its 2018 tournament kick-off. 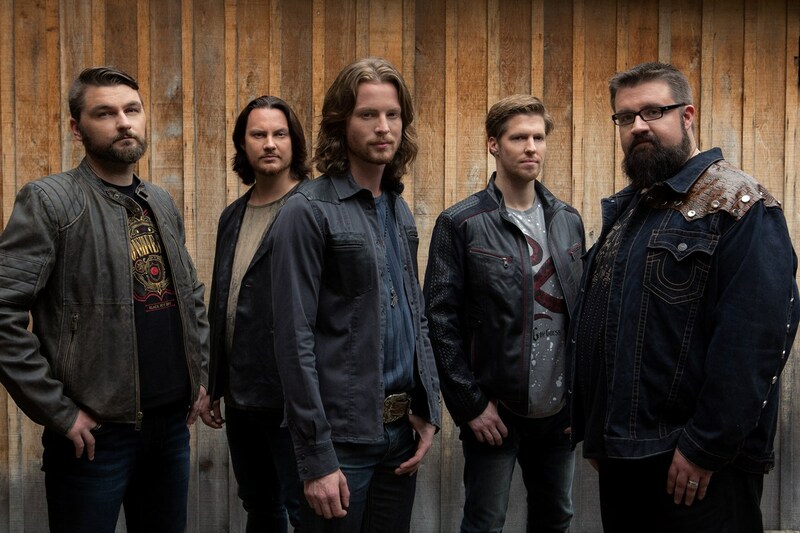 Home Free, the world’s first all-vocal country band and winner of NBC’s “The Sing-Off” show, has sold more than 350,000 copies combined of their popular albums, embarked on four major national tours, and amassed over 220 million YouTube views. Bringing Nashville country standards and country dipped pop hits to Atlanta, Home Free comes to town on the heels of their most recent full-length album release, TIMELESS, bringing with them new music, new jokes, and new production. “The BB&T Atlanta Open is very excited to announce the kick off of our tournament on July 21 with a high-energy and high entertainment concert by the all-vocal quintet, Home Free, live on the very same location that world-class professional tennis players will also entertain on during the week,” said BB&T Atlanta Open Tournament Director Eddie Gonzalez. Concert tickets are available for purchase for the public at www.bbtatlantaopen.com; tickets begin at only $29 for reserved seating, while $99 VIP meet and greet tickets are available for premium seating and provide private access to meet the band. Attendees can enjoy the thrills of live music, while taking in the gorgeous city sky lines that Atlantic Station offers at night. Driving and parking directions are available online. Click here to view the seating chart. The BB&T Atlanta Open has welcomed over 310,000 fans to Atlantic Station over the past eight years, establishing itself as one of the top ATP Tour tennis events in the U.S. Ticket packages for the BB&T Atlanta Open, the only ATP World Tour event in Georgia, are now on sale and can be purchased at http://www.bbtatlantaopen.com/. In 2016, Home Free released FULL OF (EVEN MORE) CHEER – an expanded version of their popular holiday album, FULL OF CHEER – debuted at #2 on Billboard’s Top Country Albums chart, cementing the band as country music’s top all-vocal entertainers. The release of their third studio album, COUNTRY EVOLUTION, elevated the band “from auxiliary entertainment to headlining attraction” (Times Leader) and hit #4 on Billboard’s Top Country Albums chart. Produced by Darren Rust, the deluxe version includes five originals and nine new renditions of hit songs that showcase the band’s undeniable talents, tight harmonies and intelligent arrangements that are uniquely their own. Home Free’s breakout debut album, CRAZY LIFE (2014), hit #1 on iTunes country chart and #4 overall. Their latest project, TIMELESS, hit shelves September 22, debuting at #2 on the Billboard Top Country Albums chart. Founded in 2000 during collegiate years, the five-man band from Minnesota has been electrifying crowds with their live show for nearly a decade, performing together for packed audiences at major festivals, fairs, colleges and theatres. Their extensive touring and reputation as extraordinary showmen has built a loyal fan base while bringing their homegrown country style into the national spotlight. Watch Home Free’s newly released cover video, “Helplessly Hoping” here. Dowload a copy of this announcement.